What do horses and shoes have to do with what I’m giving away this week? 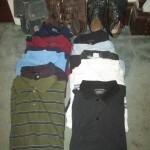 I have 11 polo shirts and 3 pairs of shoes. (You are now allowed to groan.) Some of these are pretty nice. I hope the new wearer enjoys them. 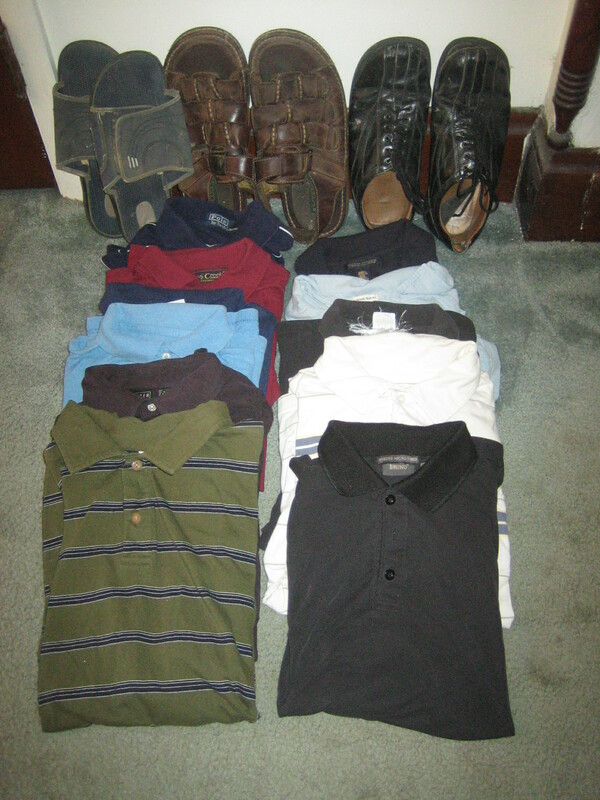 I’m finally through the shirt category. Next week, let’s see what sweaters our sons have allowed me to give away.